We serve the entire state of Missouri and in particular the Springfield, Missouri area for rv rentals of every type and style. 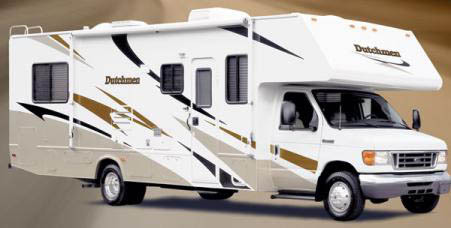 We offer motorhome rentals in Missouri plus tent campers and travel trailers. If you're visiting the Missouri area, enjoy your stay in a beautiful recreational vehicle from American Dream Vacations. Rent by the day, week or month at the most competative rates in the industry. RV rentals in Missouri , a great combination. We want to be your source for motorhome rentals, travel trailer rentals, tent camper rentals. All of our motorhomes, travel trailers and tent campers are newer models and in excellent condition. We take great pride in offering the nicest recreational vehicles for rent in the entire industry. We have Class C motorhomes, Class A motorhomes in both gas and diesel power, travel trailers from 17' to 34' and both standard and off road tent campers. 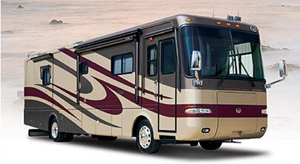 We pride ourselves in operating the most professionally run RV rental dealership in Missouri. Consider us for your next vacation, tail gaiting, trail ride, bar-b-que or chili cookoff or any temporary housing needs that may arise. Our I-44 location makes us easy to find, easy to get to and convenient. We will even store your vehicle while you're on your trip in our secure, fenced and lighted lot at no charge. Would you like to give someone special in your life a unique gift? We offer gift certificates that can be used at any of our locations. A 3 day rental gift certificate makes for something special and different for the entire family. We want to help you build great memories that last a lifetime. Take your family camping today. Did you know a family of four can rent a motorhome for a week to go to Orlando, Florida and save about $1,200.00 over flying and staying in hotels? Call us today and we'll help you start your own adventure. Now you can rent first class motorhomes, travel trailers and tent campers and know you're getting a quality product. We're located just minutes from Springfield International Airport so we welcome fly in customers from all over the world. We pride ourselves in offering the kind of customer service you will normally see only in the finest hotels. Our recreational vehicles are fully serviced on a strict schedule and cleaned thoroughly after every rental. Our customers tell us over and over again how much nicer our rental units are than our comptetitors and how professional we are from the reservation all the way through the check in process. America's Premier RV Rental Company! Try us for RV Rentals in Missouri !